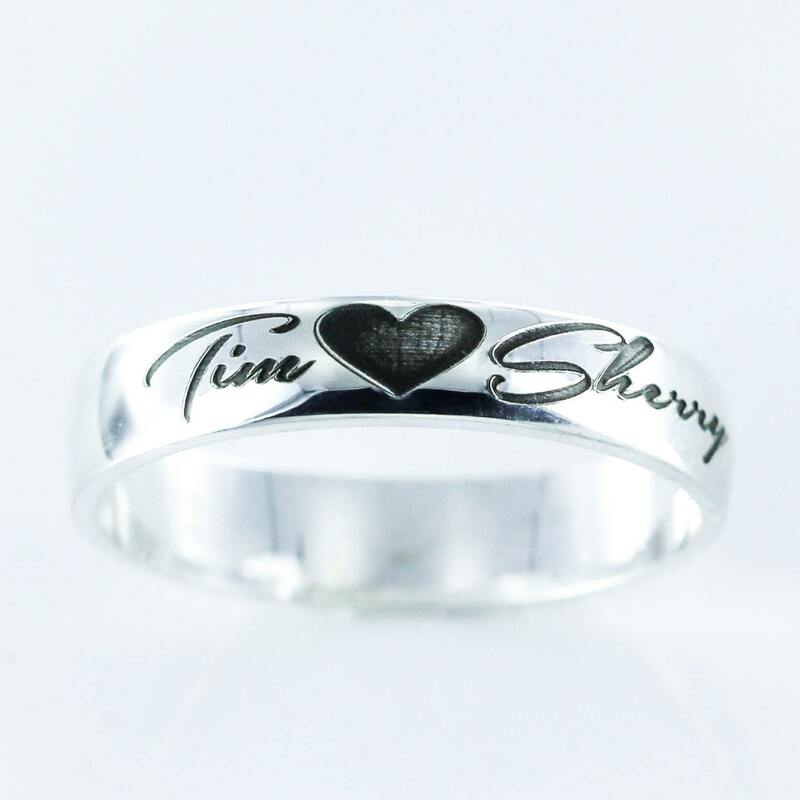 This is a beautiful sterling silver ring that can be engraved with your name and your special someone's name with a heart in between. Or we can do an "&" sign instead of a heart if that would be more your style. The engraving is just beautiful! 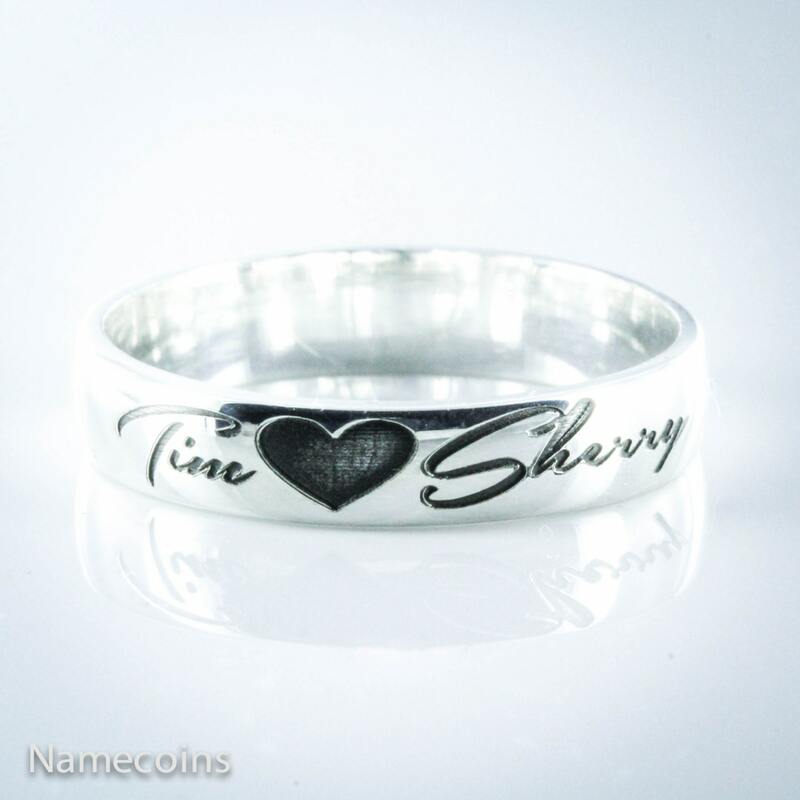 The name and heart are actually etched into the ring so they will never go away! 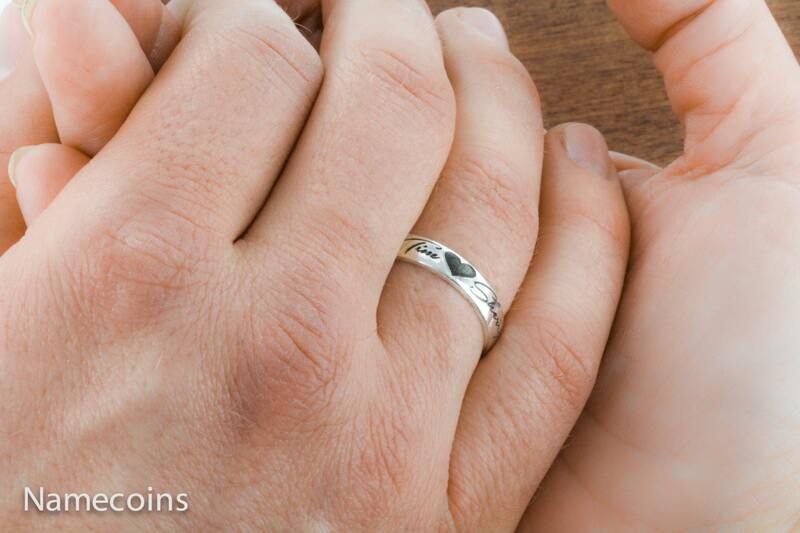 The ring is 5 mm thick. Usually the boyfriend will have her name, then a heart, then his name and she will have vice versa.